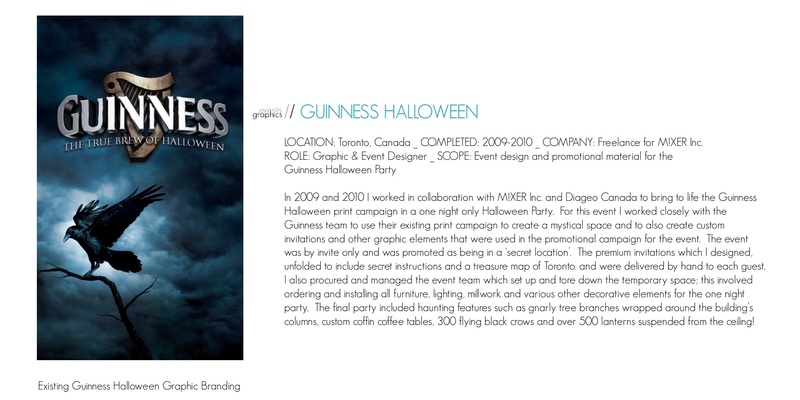 In 2009 and 2010 I worked in collaboration with M!XER Inc. and Diageo Canada to bring to life the Guinness Halloween print campaign in a one night only Halloween Party. 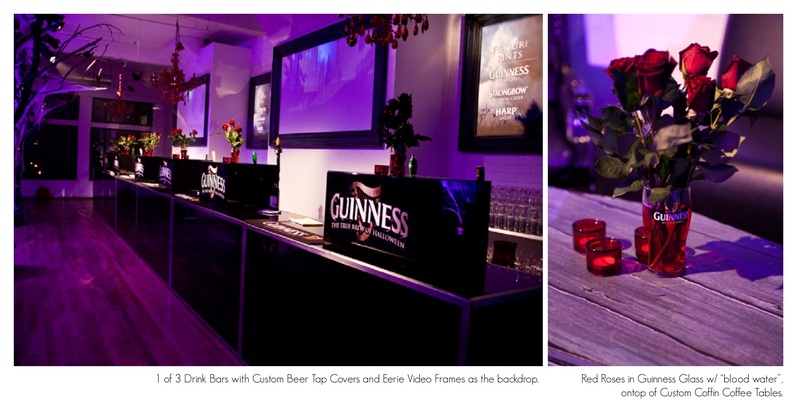 For this event I worked closely with the Guinness team to use their existing print campaign to create a mystical space and to also create custom invitations and other graphic elements that were used in the promotional campaign for the event. The event was by invite only and was promoted as being in a ‘secret location’. 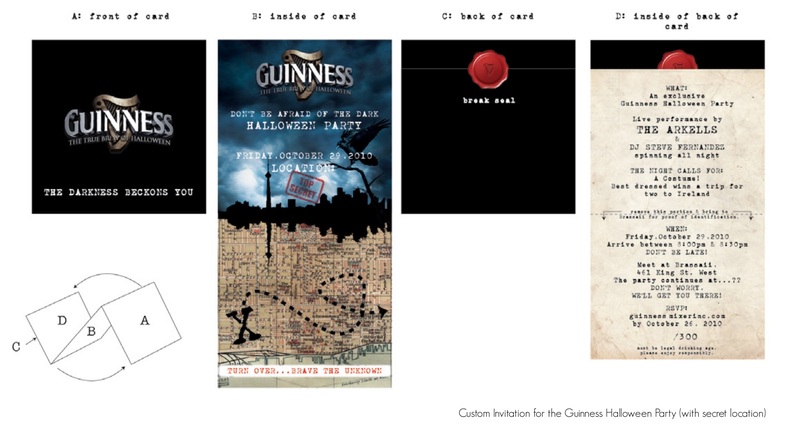 The premium invitations which I designed, unfolded to include secret instructions and a treasure map of Toronto. and were delivered by hand to each guest. I also procured and managed the event team which set up and tore down the temporary space; this involved ordering and installing all furniture, lighting, millwork and various other decorative elements for the one night party. 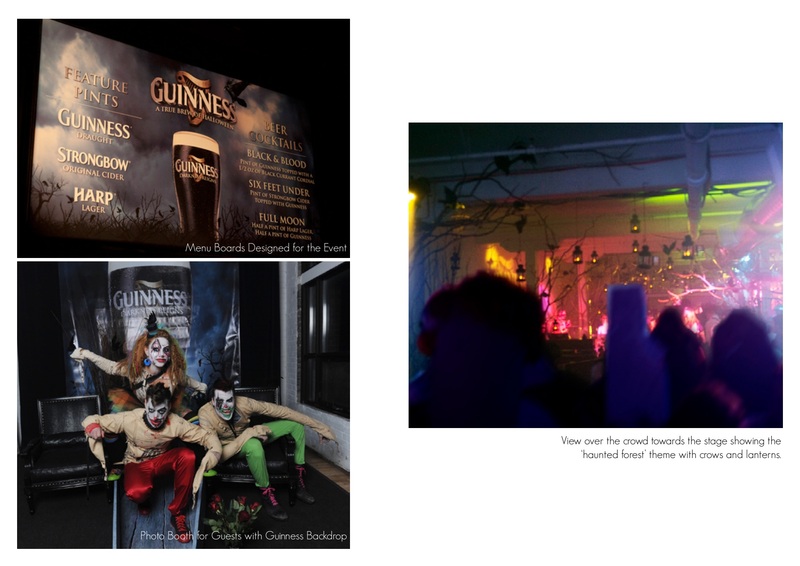 The final party included haunting features such as gnarly tree branches wrapped around the building’s columns, custom coffin coffee tables, 300 flying black crows and over 500 lanterns suspended from the ceiling!